Obviously, when I talk about health, I’m talking about good health. And as someone with a science and engineering background, I’m interested in a definition of health that I can accurately measure. If you can’t measure it, you can’t manage it. Waist to Shoulder Ratio – This one is a measure of attractiveness. Research has shown over and over again that for men, a waist-to-shoulder ratio of 1.61 is the most attractive to women all over the world. I’ll be writing more about this and how healthy smoothies can help. Notice that I didn’t say anything about what these measurements should be. When starting out, the most important thing is to measure improvement, progress in the right direction. Don’t focus on a specific number yet. Just start the process of getting healthier. So before you start adding a healthy smoothie to your diet every day, or working out, find out where you are now for these measurements. Getting your cholesterol measured is the only one in the group that will even force you to leave the house. Your doctor can do it, and there are also easy walk-in places that will do it as well. Any Lab Test has offices in most cities. 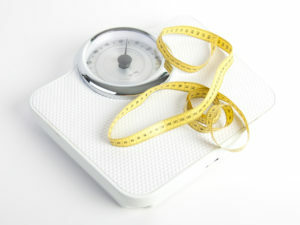 Set your baseline first, then measure again after a month of healthy smoothie lifestyle changes. You will be surprised!